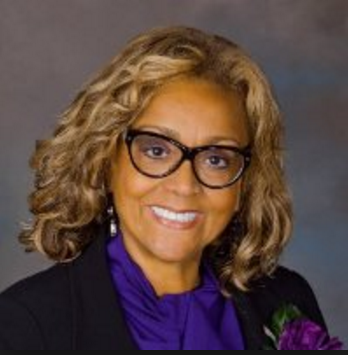 Angela T. Wilkes | The Leverage Network Inc. Angela T. Wilkes – The Leverage Network Inc.
Angela T. Wilkes, President and CEO of A.T. Wilkes & Associates, is an energetic visionary dedicated to improving Supplier Diversity in the healthcare industry. As a former Director of Supplier Diversity & Sustainability for Owens & Minor, Angela led the corporation’s nationally recognized supplier diversity strategy, programs and partnerships. Working with numerous healthcare systems, nonprofits, government agencies, universities, and senior leadership, Angela developed and implemented programs that leverage sales and also serve as a model for the healthcare industry. She is recognized as an acclaimed expert in supplier diversity for the healthcare industry who sees the big picture yet understands the intricate components that compose the whole. Angela is a strategic thinker and sought-after for her insight, collaborative nature, and ability to connects the dots. A perfect example is the Healthcare Supplier Diversity Symposium which was created by Angela and is now in its tenth year. She founded the Healthcare Supplier Diversity Alliance, which builds awareness through education and creates opportunities for historically underutilized businesses and supply-chain stakeholders. As founder of the Healthcare Supplier Diversity Alliance, a 501(c)(6) non-profit, Wilkes has educated and created opportunities for historically underutilized businesses. She works tirelessly to achieve her personal goal of helping Corporate America become aware of the impact and importance of Supplier Diversity. Wilkes take pride in being able to make the right connections for enhancing diversity and inclusion in healthcare, which contributes to why her highly acclaimed Healthcare Supplier Diversity Symposium continues to be a stellar event for almost a decade. Angela also started the first NAHSE (National Association of Health Services Executives) chapter in VA and served as board chair for four years. She continues to champion and support NAHSE throughout her industry activities. Angela believes that fairness and communication are fundamental to any successful relationship whether it is with a supplier, business partner, or community organization. That’s why she has been invited to undertake leadership roles with numerous nonprofit boards and industry initiatives. Angela T. Wilkes is an engaging, delightful business executive who is well respected across the country.